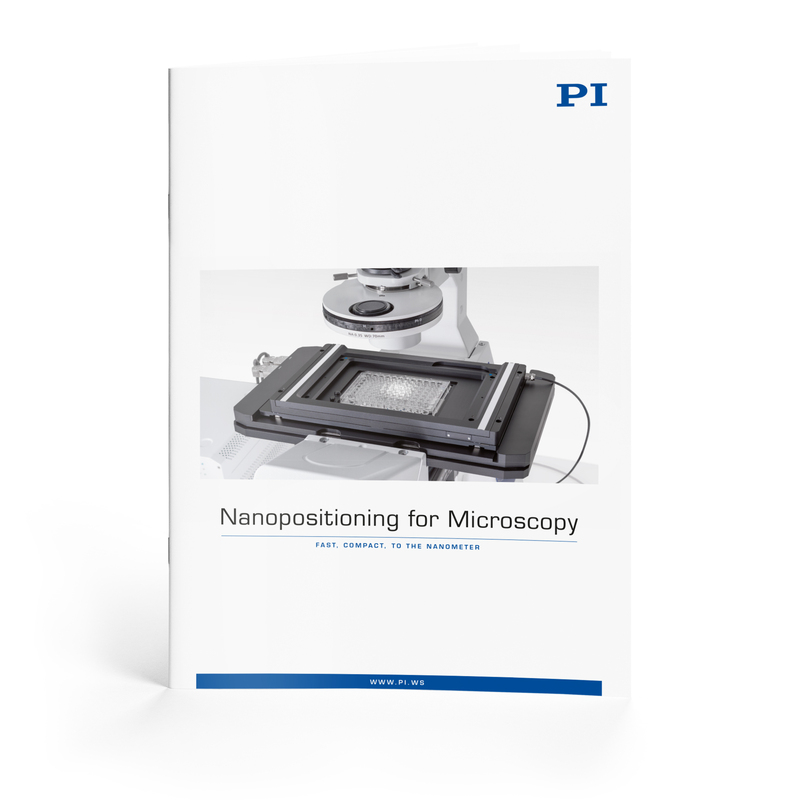 The brochure "Nanopositioning for Microscopy" provides a comprehensive overview of PI's positioning solutions for microscopy. From routine microscopy, through high-resolution microscopy, to particle beam and atomic force microscopy: Everywhere, the positioning of samples - static or dynamic - plays a decisive role in the quality of microscope images and their interpretation. In addition to positioning the sample with up to six degrees of freedom, it is often necessary to move the objective in the Z direction. PI has an extensive product portfolio, based on various drive technologies such as piezo or motor drives, on offer for these tasks therefore making precise positioning down to the nanometer with high repeatability possible. 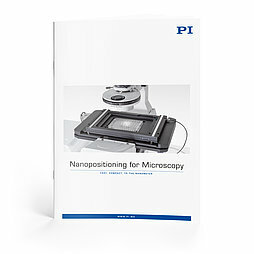 PI's new brochure "Nanopositioning for Microscopy" now provides a clear overview of its product portfolio relating to numerous microscopy techniques. This overview is supplemented by newly designed product finders for sample positioning, Z nanopositioning, and new configuration diagrams for PIFOC® objective scanners, including information on suitable controllers. The digital, PDF version of the brochure also provides direct access to the corresponding PI web pages with detailed product data. Well known for the high quality of its products, PI (Physik Instrumente) has been one of the leading players in the global market for precision positioning technology for many years. PI has been developing and manufacturing standard and OEM products with piezo or motor drives for more than 40 years. By acquiring the majority shares in ACS Motion Control, a worldwide leading developer and manufacturer of modular motion controllers for multi-axis and high-precision drive systems, PI has made a major step forward in being able to offer complete systems for industrial applications with the highest demand on precision and dynamics. In addition to four locations in Germany, the PI Group is represented internationally by fifteen sales and service subsidiaries.